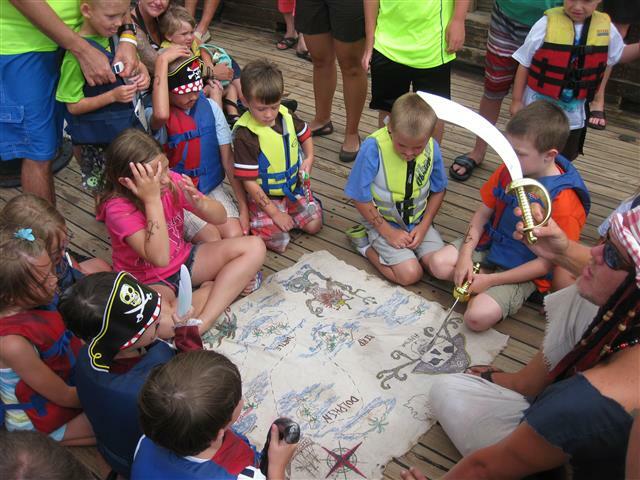 Aboard the American Star Pirate Ship Cruise in Orange Beach, AL, help the captain and crew retrieve their treasure map in the attempt to scavenge the waters in look of their beloved lost gold! During the night, the evil King who resides among the friendly pirate crew of Skull Harbor, has managed to sneak down and steal the beloved map. All mates on board will be asked to assist in retrieving this map back in order to follow the directions towards the booty! 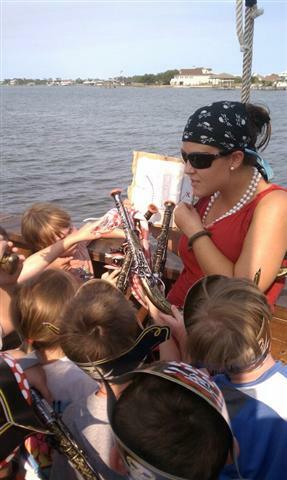 Once the crew on board have successfully found the beloved treasure map, your little mateys will help read and decipher the map to guide us along the correct path. Along the way, we are looking for various wildlife in the area. Birds, dolphins, and sea turtles are among the animals that we will be looking for to help guide us in the right direction! As always, the X is what marks the spot, and the captain and crew will need all the help that they can get to guide our boat to the sunken chest. Once the gold is retrieved, all the mates on board can use their findings to 'purchase' drinks for the whole ship! No man is left behind in our Pirate Adventure. Children and adults alike are welcome to enjoy a cold beverage to cool off in the summer heat, but if soft drinks are not your pick, then be aware and bring your drink of choice aboard to enjoy along the cruise! Adult beverages are welcome, but we prefer you have them in anything besides glass bottles since we are on a boat. Coffer is the pirate term for treasure!